A small group of Volkswagen engineers began working as early as 2005 on emissions cheating software after they were unable to find a technical solution to U.S. emissions controls as the automaker pushed into the North American market, executives said Thursday. The company in September admitted to have cheated on U.S. diesel emissions tests with the help of software installed in engines. The software was built into 11 million cars globally, about 500,000 of which in the U.S., from 2009 to 2015. It has so far confirmed to have cheated only on the U.S. tests, which are more rigorous than European ones for the polluting emission nitrogen oxide. In an update on the company's investigation in the case, Chairman Hans Dieter Poetsch said engineers in 2005 were unable to find a technical solution to U.S. nitrogen oxide emissions within their "timeframe and budget" and came up with the software that manipulated results when lab testing was done. Later, when a technical solution became available, it was not employed, Poetsch said. 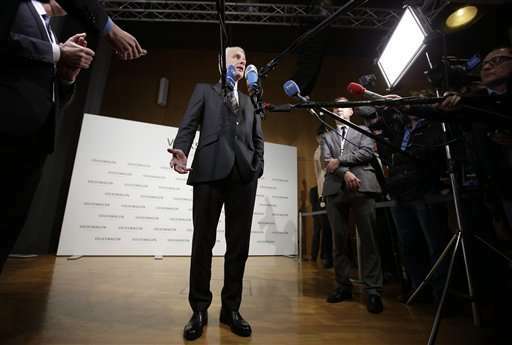 "We are not talking about a one-off mistake, but a whole chain of mistakes that was not interrupted at any point along the time line," he told reporters at Volkswagen headquarters in Wolfsburg, Germany. 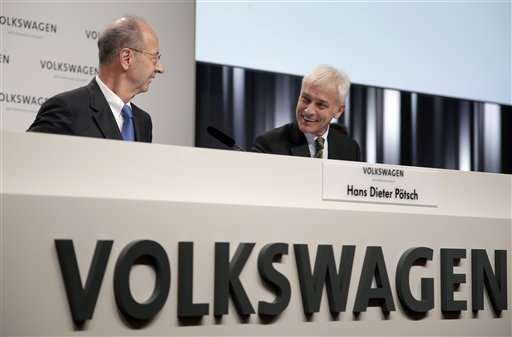 Poetsch did not say if any VW models from before 2009 had the cheating software in the U.S. A spokeswoman for the U.S. Environmental Protection Agency would not immediately comment on whether any more model years are under investigation. VW sold some diesel models in the U.S. during the 2005 and 2006 model years but suspended sales in 2007 and 2008 after the EPA imposed stricter pollution standards. 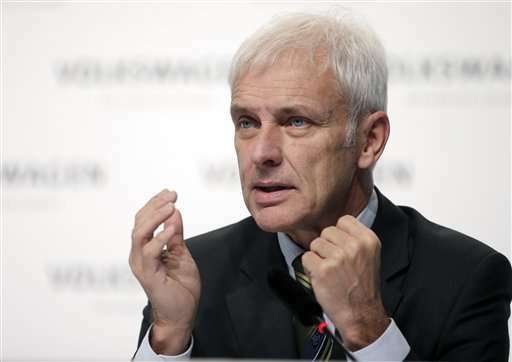 Volkswagen is "relentlessly searching for those responsible" for the software, Poetsch said. "We still do not know whether the people who were involved in this issue from 2005 to the present day were fully aware of the risks they were taking and of the potential damage they could expose the company to, but that's another issue we will find out," he said. CEO Matthias Mueller said the investigation so far had revealed that "information was not shared, it stayed within a small circle of people who were engineers." Poetsch confirmed the company had suspended nine managers for possible involvement in the scandal. He said there are so far no indications that board members were directly involved, but the company's probe is ongoing and broad. "This is not only about direct, but overall responsibility," he said. He said the investigation has so far analyzed data from laptops, phones and other devices from 400 employees. More than 2,000 have been informed in writing that they cannot delete any data in case it becomes relevant to the investigation, he said. External auditors have already gone through 102 terabytes of data, which he said was the equivalent of 50 million books. "I'm not saying all of those people are under suspicion, but what it means is that on computers, SIM cards, or USB sticks there might be information that could be important," he said. "We still believe that only a comparatively small number of employees was actually actively involved in the manipulations." Mueller said that the scandal had so far not caused the massive slump in business that some had feared earlier. "The situation is not dramatic, but as expected it is tense." Sales in the U.S. fell nearly 25 percent in November, the first month to show the full impact of the scandal. Figures for the European Union are due next week. "We are fighting for every customer and every car." He suggested that the company was not considering any cuts to fulltime jobs, but that it might have to shed some workers with fixed-term contracts. "Temporary jobs are a tool of ensuring flexibility, that is not new," he said. "If changes come to our production, then this may have an impact on the number of temporary workers." Mueller said Volkswagen's finances are strong enough, however, that the company does not have to consider selling any units to cope with the costs of the scandal as has been speculated by some. The automaker has estimated the scandal would cost 6.7 billion euros, though analysts expect that figure to ultimately be much higher. 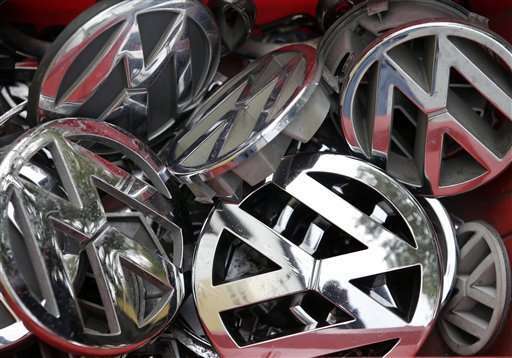 On Thursday, Volkswagen's preference shares were up 0.7 percent at 132.70 euros. To help restore confidence in the company and prevent a repeat of such a scandal, Poetsch announced that Volkswagen was instituting new, more stringent and transparent emissions testing for all of its vehicles. 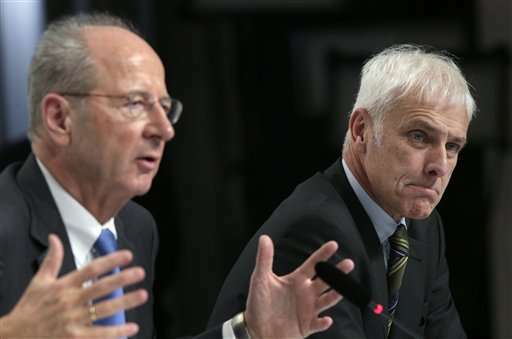 He said Volkswagen would go beyond lab tests—so far the norm in the U.S. and Europe—had proved too easy to cheat. "Our emissions tests will, in future, be verified by external and independent third parties," he said. "We will also be introducing universal on-road emissions measurements during real-life driving, and we hope that will help us win back trust." The real story should go back to the US car manufacturers getting super stringent diesel regulations passed because they had no answer to the euro diesel invasion. Protectionism.